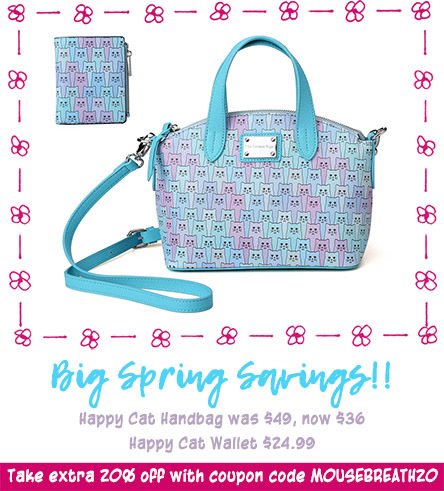 If yesterday’s cat handbags weren’t your thing, how about some chic wearables from the Animal Rescue Site? 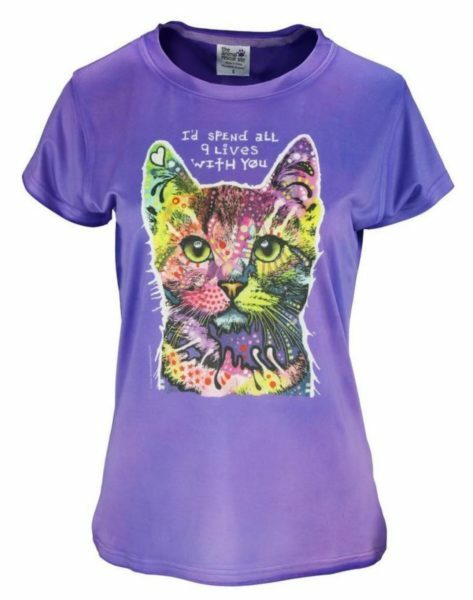 Each purchase helps feed shelter animals. 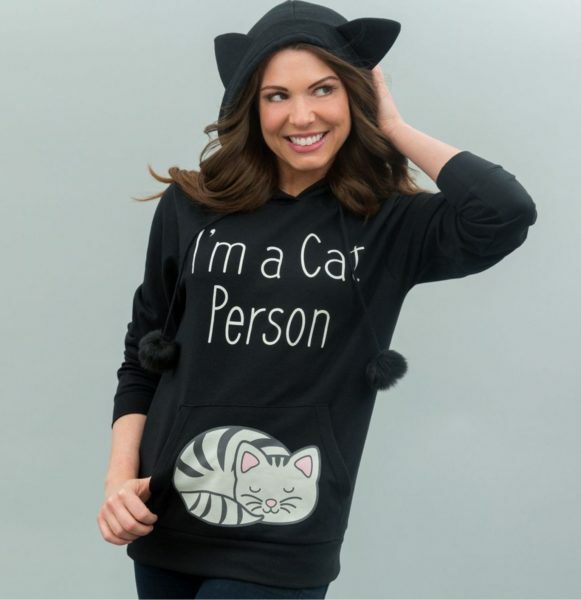 Most of these items come in plus sizes, a bonus if you’re a little “fluffier” than usual after the holidays! Super cozy sherbet cats bathrobe, $39.95. 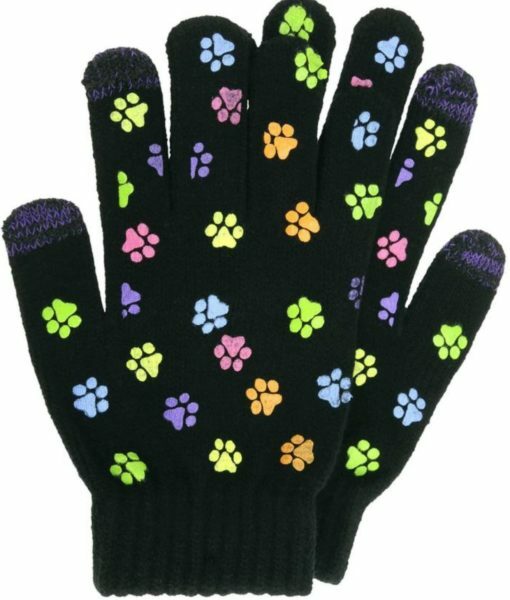 Touchscreen gloves – keeps your paws fingers warm even while using touchscreen devices. They have special conducive fibers woven into the thumb and forefingers. (How have you survived the winter without a pair of these?) $14.95. Feeds 35 shelter animals. 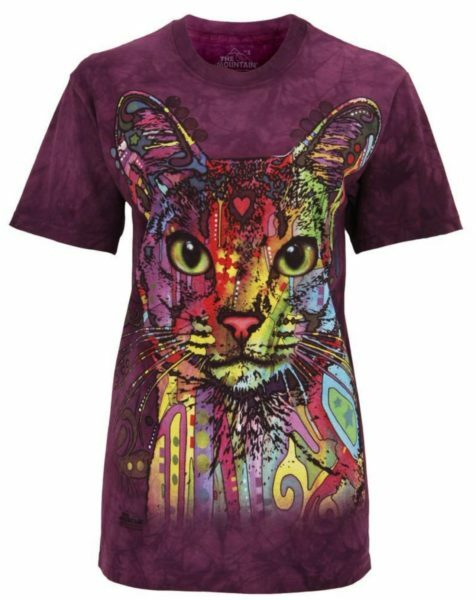 Dean Russo Cat Tee, $12.95 and under. Feeds 35 shelter animals. 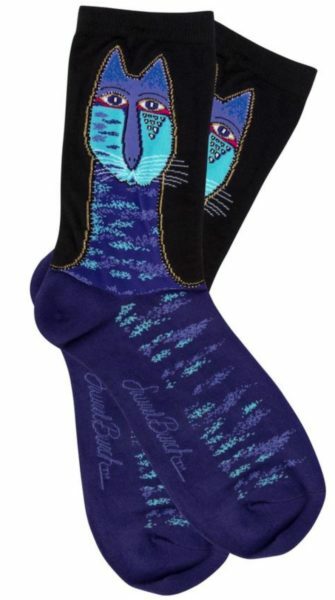 Colorful Laurel Burch Cat Socks, $5.95. Feeds 35 shelter animals. 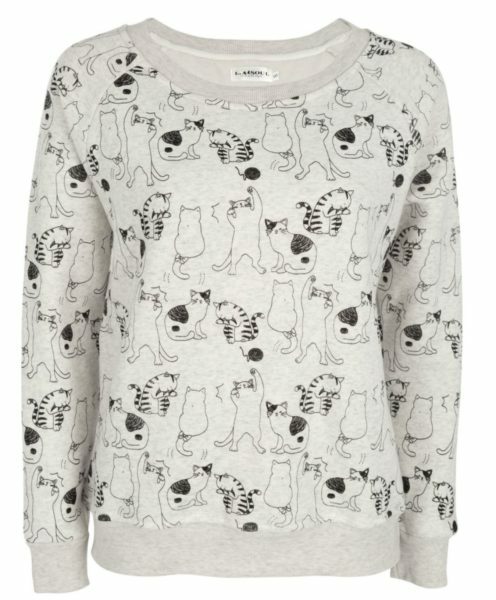 Another Russo Cat Tee, $24.95. Feeds 71 shelter animals. 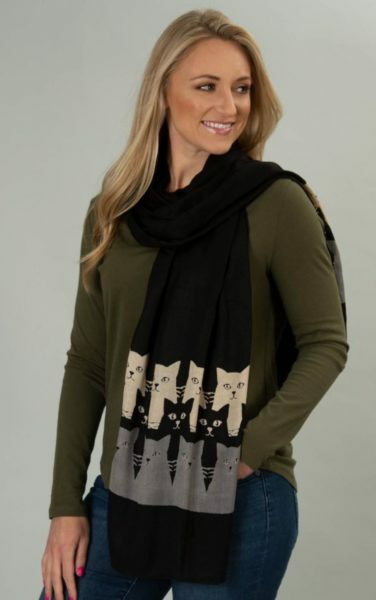 Woven cat scarf, $14.95. Feeds 35 shelter animals. 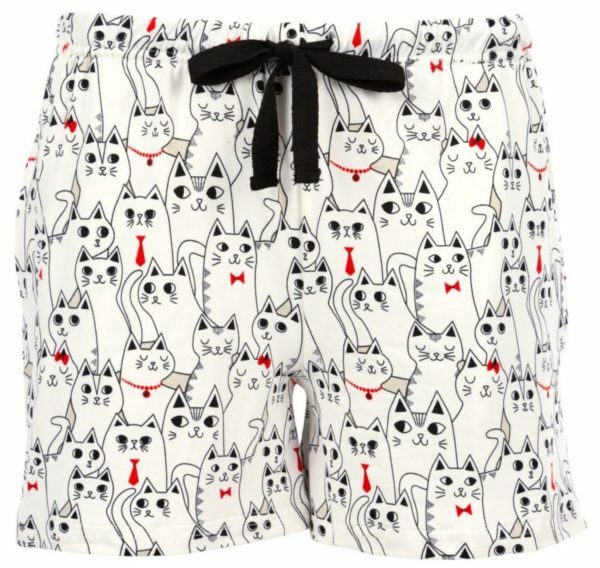 Cat Print Jammies: Shorts: $18.95. Long pants: $24.95. 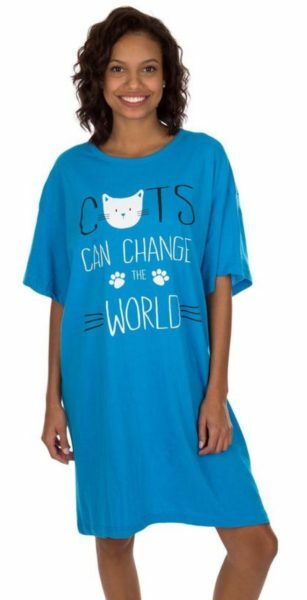 Top: $19.95.Each feeds 35 shelter animals. 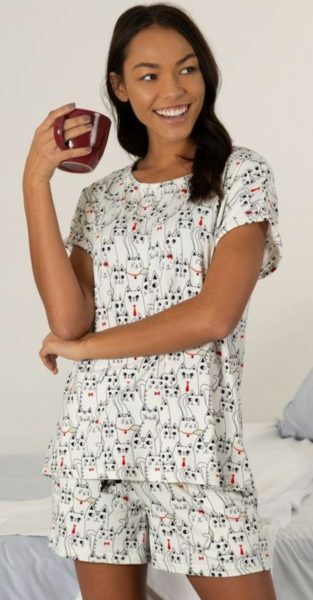 Pawsome clothing. I found out they deliver to the UK but I would have to pay tax and other extras. 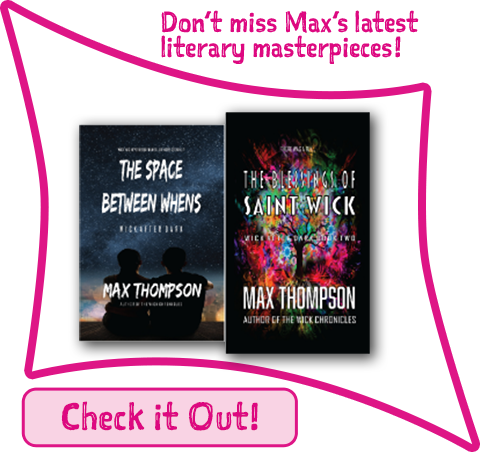 So many wonderful things! I even found a twin-cat outdoor planter that I MUST HAVE!